Deborah was a ‘prophetess’ – not someone who foretold the future but who ‘heard’ a message from God in some way and passed it on to the people around her. Deborah also acted as an oracle when, sitting under a sacred tree in the hill country of Ephraim, she gave judgment on particular matters. People came to her when they needed a dispute settled, or advice about their future actions. She listened, considered the problem, then suggested what they should do. 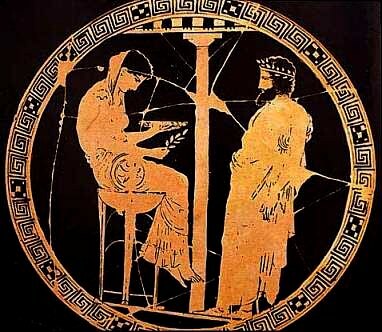 Unlike other oracles (see the Oracle at Delphi at right) she provided leadership as well. Deborah spoke out about the deteriorating state of the country around Ephraim. Law and order had broken down, and it was no longer safe to travel on the highways. The Israelite settlers in the hill-country harassed the Canaanite ‘old-timers’, raiding their farms and villages down on the plains. The Canaanites in Ephraim were led by King Jabin of Hazor. He wanted to get rid of the problem altogether by simply wiping out the hill tribesmen. In this emergency, the Israelites turned to Deborah. She in turn summoned a military leader called Barak, and gave him orders. He should go to Mount Tabor (see Mount Tabor and the Jezreel Valley at right) with as many fighting men as he could muster, and draw King Jabin into battle. This was good. An army general ought to think of the odds against him, and the safety of his soldiers. The Israelites had nothing like Sisera’s fire power, since they lacked the technology and know-how to develop comparable weapons. Barak had a much smaller army, comparatively untrained, and with inferior weapons. It was unlikely he could succeed against such odds. Like any good general, he did not wish to sacrifice his men unless there was a chance of winning. 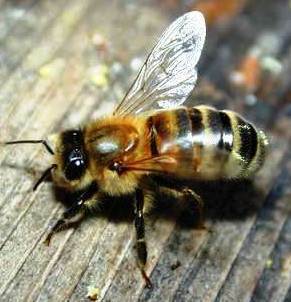 Deborah, however, was able to inspire him. She knew the Israelite’s forte was guerrilla warfare, and she was counting on the weather to help her – she had waited until the time of year when there were heavy rainfalls. Rain would mean mud on the valley floors, mud that would immobilise the enemy’s chariots, and she already had a plan. 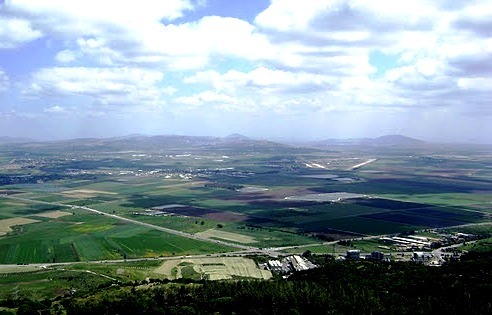 Her army, led by Barak, assembled at Mount Tabor. They were a brave but motley force. Sisera, on the other hand, assembled a terrifying force. He had 900 iron-trimmed chariots at his disposal, and they could do fearsome damage. They were mobile firing platforms from which archers could fire their arrows in all directions as needed. 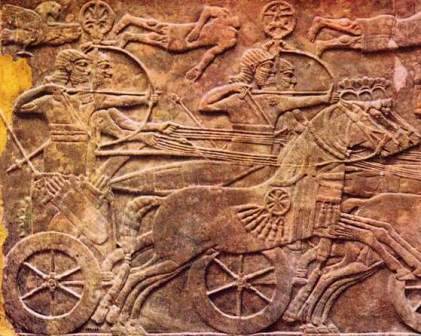 The chariots’ weight and velocity as they charged into an opposing army could plough a dreadful furrow through the ranks of soldiers. The Canaanites ought to have won the battle easily. They did not. 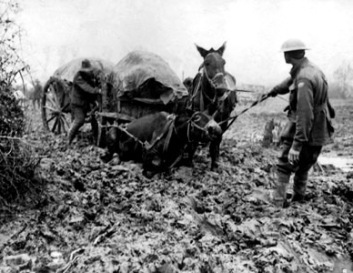 There was a tremendous downpour and the 900 chariots, meant for quick maneuvering on firm ground, became bogged in the mud. The flash flood swelled the nearby Wadi Kishon and turned the battleground into deep mud, giving the Israelite foot soldiers the advantage over the Canaanite chariots. Unhampered by heavy armor, they were more mobile than the Canaanites, who were easy prey for the Israelite swords and lances. 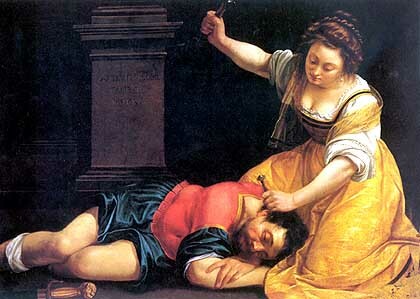 In the aftermath of the battle, Sisera was slaughtered by a Kenite tribeswoman called Jael. She drove a tent-peg through his skull as he slept. 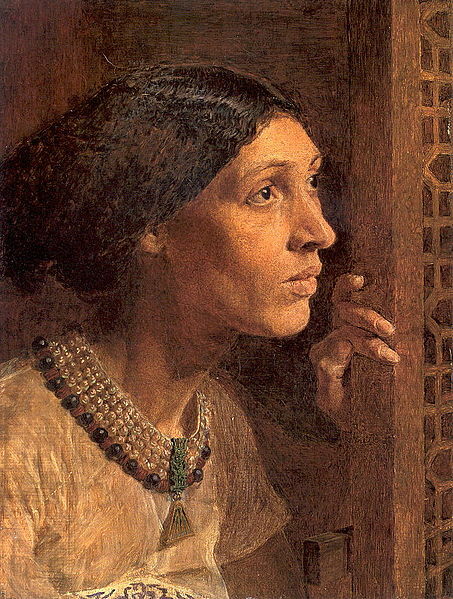 There is a pathetic description of Sisera’s mother standing at the window of her house, watching the road for the son who will never return. Deborah, a judge and prophetess who rallied the Israelites against King Jabin of Hazor.